Is it time to plan a new garden? How’s the view from your window? Are you happy with your outdoor space? Does a new garden add to the value of your property? Does it make you want to go outside, No? Winter is the perfect time of year to plan a new garden and have it ready to use by spring. The first and arguably the most important part of a new garden is the plan. Think about what you want to use your garden for. If it’s the front garden, it will be the first thing anyone sees when they come to your house. So, even if it’s tiny, it needs to create a big impression. In the back garden, it’s nice to have a place where you can relax. Have you ever noticed how simple things like lighting and even heating encourage people into the garden? Of course if there are children and pets in your household, you’ll want to create a safe place for them to play. What about older or less mobile friends and family? 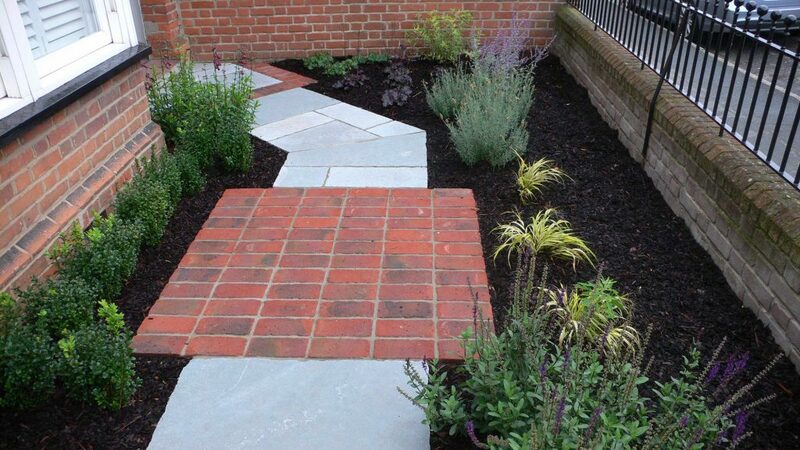 Careful garden design ensures that everyone can access your outdoor space. Do you need a shed? An office? Space for hobbies? And what about practical considerations like wheelie bins and washing lines. I can’t stress enough how much of a difference a well-designed garden could make to your life. Personally I think of it as an investment. It will last longer than a holiday and could increase the value of your property by up to 12%. 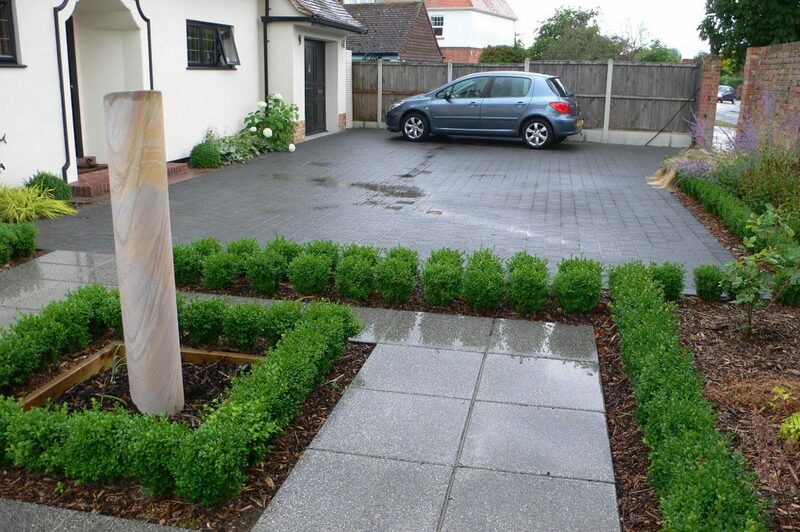 Great garden design is a real art form. It’s about combining form and function. Good design brings together shapes, colours and textures and makes good use of light and shade. A well designed garden provides both privacy and space to entertain. It offers year round interest and long-term adaptability. To be able to design a really stylish but practical garden that suits its owners’ tastes and lifestyle, takes training, experience and a dash of pure talent. 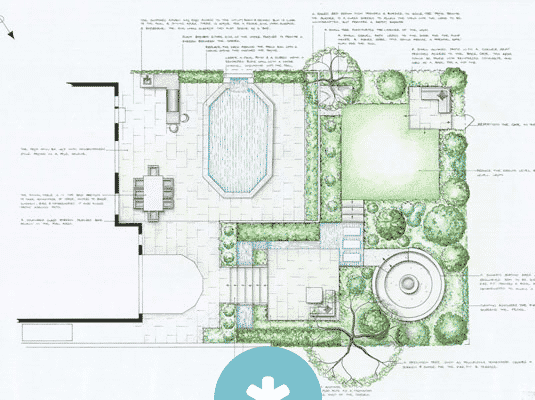 Hiring a garden designer to create a plan for you is surprisingly affordable. And worth it. A professional garden designer can help you develop the concept and style for new garden, then he or she can incorporate the features you want in such a way as they knit together seamlessly. This article on the key factors of good garden design will help you plan your new garden. What does a new garden cost? Naturally the cost of a new garden depends on its size and the features you want to include. The final price is affected by the quality of the materials you choose and the amount of work involved. I’ve always found that a reputable landscaper will visit the site, take measurements, and thoroughly check your garden design before presenting you with an estimate or quote. There are some examples of projects and prices on our website, simply click on this link to visit our pricing page. What time of year is best for building a garden? Landscaping work can go ahead at any time of year, however, there are advantages to having work done in winter. Why create a garden in the winter? You are unlikely to want to use the garden yourself. Even the hardiest among us rarely relax by sitting outdoors in winter time. Drainage issues are easy to spot and correct when your garden is at its wettest. Trained landscapers have a really wide range of talents which include all aspects of soil management. 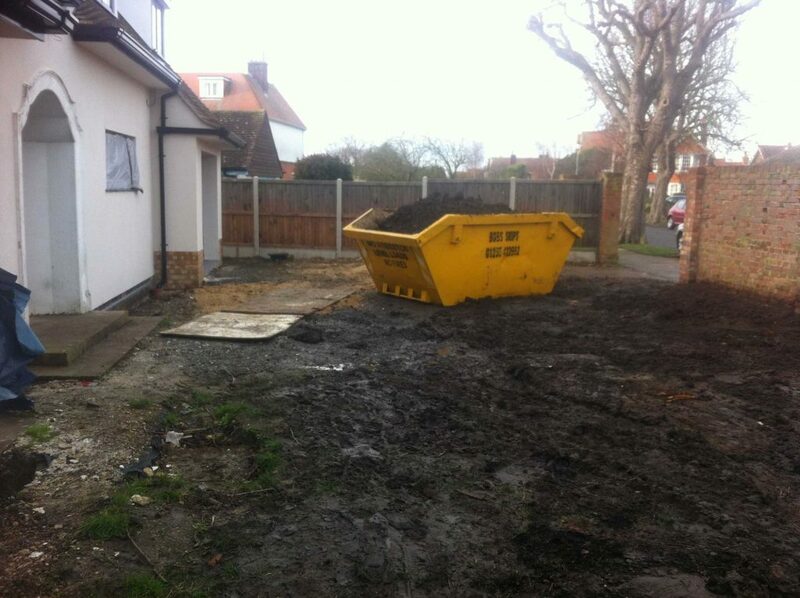 Major landscaping works can be messy. Best to get them over and done with when you are least likely to want to use the garden yourself. This is how the previous project looked the following spring. You won’t upset the neighbours. Some of the machines that landscapers use to help them make a little bit of dust and noise. It’s not horrendous but it’s not always what you want to hear from your neighbour’s garden when you are trying to relax outdoors. In winter, the neighbours are safely tucked away indoors and are less likely to feel disrupted. Landscapers have more time in winter. I’ve worked in the landscape industry for a very long time. Experience tells me that as soon as the sun comes out in springtime the phone will start ringing. During the colder months of the year it’s easier to concentrate on the actual landscaping. Plants can get well established and ready to grow as soon as the weather warms up. Believe it or not, plants don’t completely stop growing in winter time. They may look dormant, but provided the soil isn’t frozen solid, their roots will still be growing. If you plant trees, shrubs and perennial plants in autumn or winter they will have a head start in spring. Less watering. From the turf to the trees and everything in between. All living plants need water. The warmer the weather, the more water they need. Freshly planted vegetation will die if the soil around it dries out. In winter, the English weather provides almost all the water the plants will need. That saves you the job (and the expense) of daily irrigation. With your new garden installed overwinter, you’ll be able to use it just as soon as the sun starts shining. 1: Employ a professional garden designer. Trust me, it’ll be the best investment you ever made. 2: Choose your landscaper wisely. Those cowboy traders that you’ve seen on TV are all too real. If I were employing a landscaper, I’d choose a member of the APL (Association of Professional Landscapers) because I know they’ve all been rigourously vetted and approved by experts. 3: Get a quote for the landscaping as soon as you’ve settled on the design and book your landscaper well before the spring rush.